WATCH: The “Independence Day: Resurgence” trailer is upon us and it looks GREAT! The trailer to Independence Day: Resurgence has just come up and I’m very excited with where it’s going. Slated to show in cinemas on June 24, 2016, this trailer gives us a fresh new story to continue the success of the first Independence Day movie. With the new trailer of “X-Men: Apocalypse” and with the upcoming showing of Star Wars: The Force Awakens, I’m personally still reeling from all the movie awesomeness that’s been happening. Seeing this today is just sending me over the edge! I loved the original Independence Day movie and, with what the trailer shows, the story of this sequel makes sense. It shows an Earth that salvaged the Alien Tech and used it to develop society as well as fortify it from any other alien invasions. So now, what happens when another big invasion happens? I’m legitimately excited and I can’t wait for this to hit the big screen! 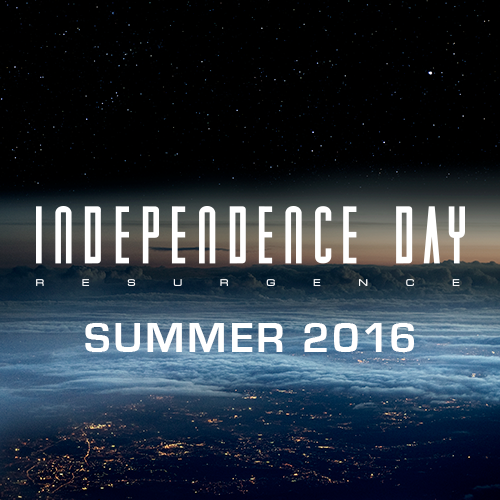 Stay tuned for more news on Independence Day: Resurgence. Next article(FIRST LOOK) TRESE the Boardgame enters Open Playtesting!